Nissan Motor’s U.S. arm stated on Thursday it plans to lay off up to 700 contract workers at its Mississippi assembly plant, mentioning reduction in sales of its vans and Titan pickup trucks. The company has hired about 6,500 direct employees and contract workers in Canton, Mississippi. The news comes as the Japanese automaker goes through the arrest of former Chairman Carlos Ghosn in November. 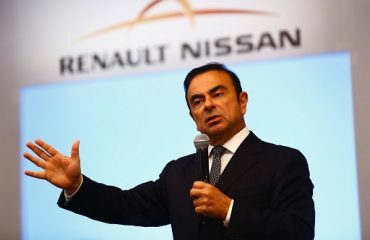 These lay-offs are not related to Ghosn’s ouster as chairman, spokesman Brian Brockman stated. The automaker stated it was slashing production shifts of Nissan Vans to one from two, and Frontier and Titan pickup trucks to two shifts from three. Brockman stated that while the affected direct Nissan workers on those shifts will be reassigned to other spaces of the plant, some associates will remain unassigned. “Nissan is adjusting production capacity at its Canton manufacturing facility to match market demand and maintain healthy inventory levels,” the spokesman said. The Associated Press had reported the news previously in the day. Nissan last month announced strategies to lay off about 1,000 employees at two factories in Mexico.